"Plenty of breathless one-more-chapter, stay-up-late suspense wrapped around a meaty and timely story ... irresistible." No one was more surprised than FBI Agent Peter Sutherland when he's tapped to work in the White House Situation Room. From his earliest days as a surveillance specialist, Peter has scrupulously done everything by the book, hoping his record will help him escape the taint of his past. When Peter was a boy, his father, a section chief in FBI counterintelligence, was suspected of selling secrets to the Russians—a catastrophic breach that had cost him his career, his reputation, and eventually his life. Peter knows intimately how one broken rule can cost lives. Nowhere is he more vigilant than in this room, the sanctum of America's secrets. Staffing the night action desk, his job is monitoring an emergency line for a call that has not—and might never—come. 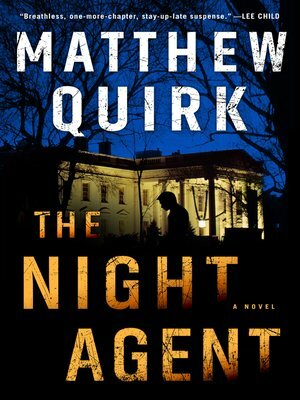 The call thrusts Peter into the heart of a conspiracy years in the making, involving a Russian mole at the highest levels of the government. Anyone in the White House could be the traitor. Anyone could be corrupted. To save the nation, Peter must take the rules into his own hands and do the right thing, no matter the cost. He plunges into a desperate hunt for the traitor—a treacherous odyssey that pits him and Rose against some of Russia's most skilled and ruthless operatives and the full force of the FBI itself. Peter knows that the wider a secret is broadcast, the more dangerous it gets for the people at the center. With the fate of the country on the line, he and Rose must evade seasoned assassins and maneuver past jolting betrayals to find the shocking truth—and stop the threat from inside before it's too late.